Malmö is a city facing several challenges, not least within social sustainability. With an increasing population the city needs to be densified, and at the same time the different city districts need to be integrated with each other. In Malmö’s previous safety survey, the central city district Sorgenfri received low grades. 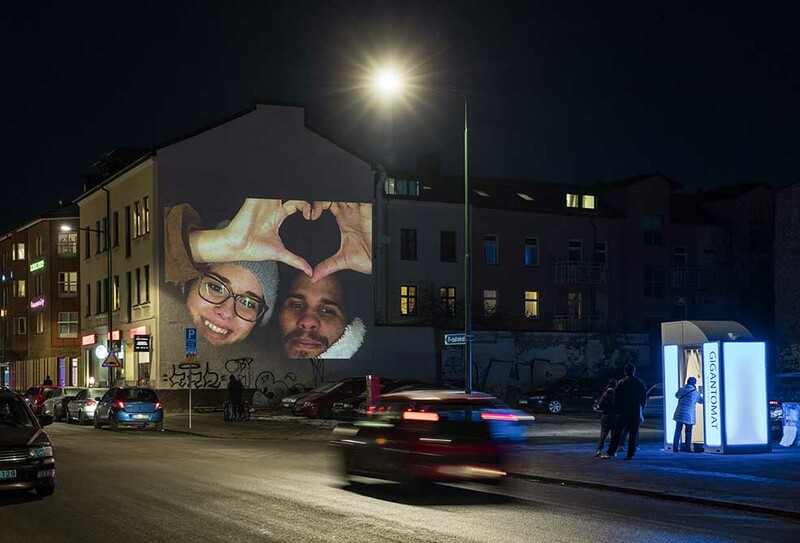 Together with people living in the area, the city of Malmö identified different actions to be taken by the municipal organisation to make Sorgenfri a place where people feel safe. The municipal organisation is limited to invest in lighting on municipally owned land, but in areas such as Sorgenfri a lot of the land is private and hence outside of the municipal control. 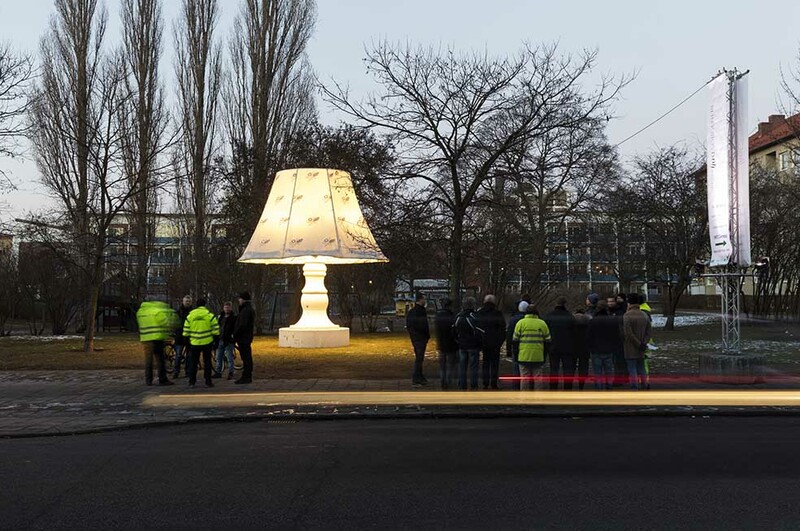 The purpose of the demo project was to implement different solutions, together with private real estate owners, to make Sorgenfri a place where people feel more safe and are more willing to spend time outdoors at night. As a first step, the lighting in the public streets and parks in Sorgenfri was upgraded and improved to a top-quality standard. The next step was hosting the event Stadens Ljus: Sorgenfri during February 10-19, 2017. 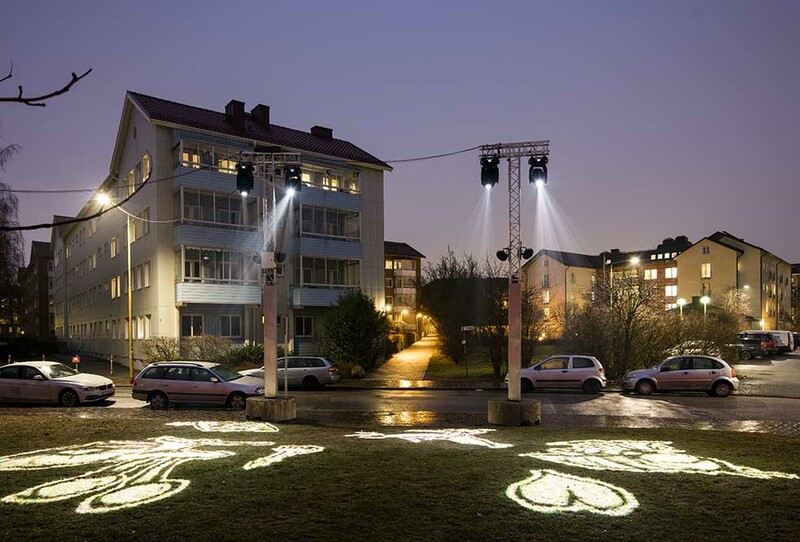 Stadens ljus is a light event concept including a number of artistic and temporary installations, developed in the city of Malmö. It has previously been hosted in for example the city district of Rosengård, with great success. The purpose with a Stadens ljus event is to enlighten the qualities of a city district, and to attract people from other city districts in Malmö to come visit the area. A long-term goal is that the people living in the area will become prouder of their neighborhood and more comfortable with being outdoors in their neighborhood after dawn. 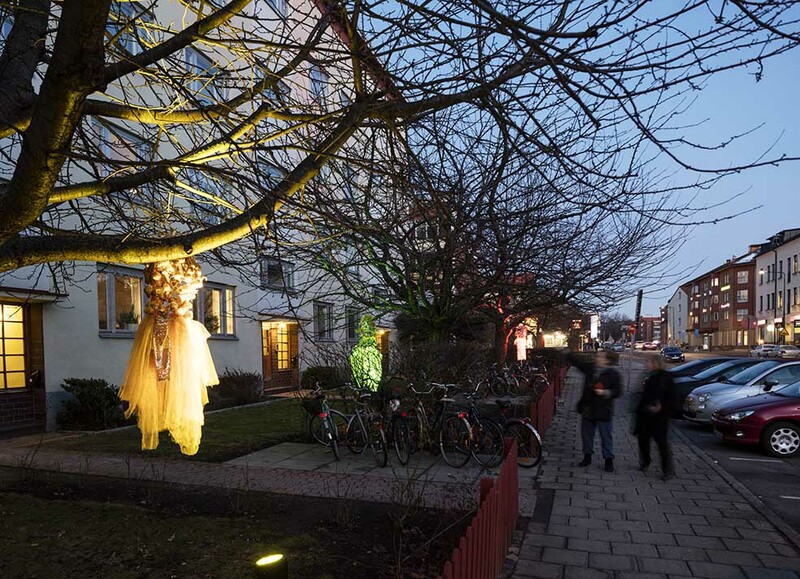 During Stadens ljus: Sorgenfri the project organization interacted with citizens and visitors in the area and made them fill in a survey on the lighting situation inside and outside of a specific building of the area. The survey was inspired by the POLQ (Perceived Outdoor Lighting Quality) method developed by Maria Johansson at Lund University. The purpose of making the survey was to make the future changes of the lighting inside and outside the building be based on the results of the survey. The plan was also to make another survey once the new lighting was installed and compare the results. However, the results of the survey were so good that building owner decided to not change the lighting at all. During Stadens ljus: Sorgenfri the City of Malmö also wanted to try motion activated lighting on a walking path inside a green area in Sorgenfri. The purpose was to make people feel safe while walking on the path and have a more biologically friendly lighting as well as saving energy when nobody was using the path. A last step was to make a brochure for the City of Malmö’s energy and climate advisory service on how different aspects to sustainable lighting, to be used for energy counseling with real estate owners. 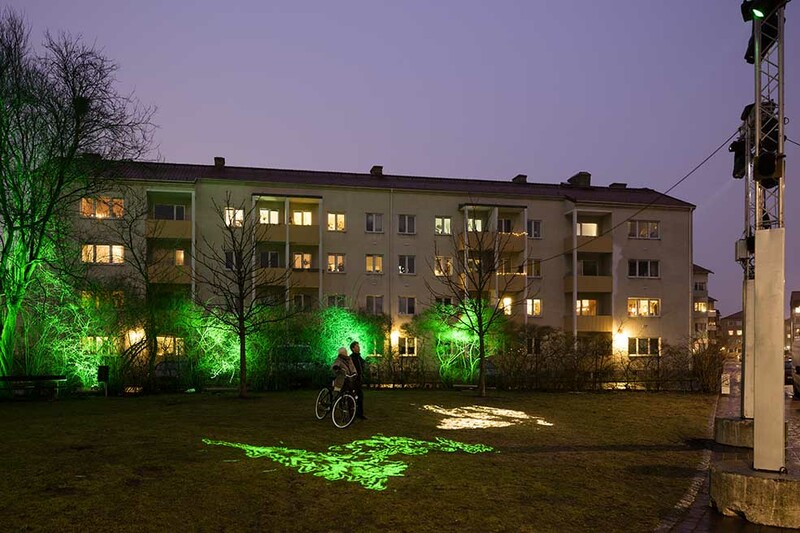 Stadens ljus: Sorgenfri was carried out together with Luxera (Bertil Göransson) and MKB, Malmös public housing company. 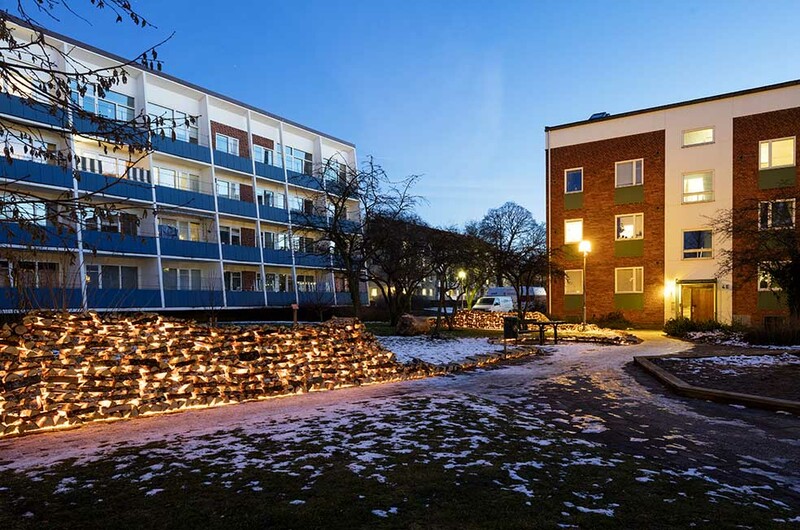 Lighting installations in the area were developed by Åse Persson, Meteor International, JH Ljus och rumsgestaltning, Stenkulaskolan, Erik Vestman/Nils Petter Löfstedt, Henrik Nord, Cirkulationscentralen, Luxera and Olsson & Linder. The survey was made in collaboration with MKB and Maria Johansson at Lund University. The concept for the biologically friendly, motion activated path lighting was developed in collaboration with Luxera, and the luminaires were provided by Fagerhult. The biologically friendly, motion activated path lighting used luminaires from Fagerhult. The effects of all the different lighting focused activities made in the demo project in Sorgenfri are difficult, if not impossible, to measure. Spontaneous reactions from the citizens were very positive about both the improved street lighting and the ten-day lighting event. MKB also received very positive feedback from their residents. If the over-all perception of safety has improved in the area might be indicated in a new safety survey that are being carried out in Malmö in late fall 2018. Since the POLQ survey during Stadens ljus: Sorgenfri gave such good results that the building owner (MKB) decided not to change the lighting, there are no measurable effects of this part of the demo to report. However, the real estate managers learned a lot from the survey and the collaboration, and developed a whole new concept for the lighting in their apartment building stock. The biologically friendly, motion activated path lighting had to be removed since the manufacturer never made it fully work. If you entered the path from the starting- or end-point of the path, the motion activation worked as desired but the path has several entrances from surrounding houses. This enables people to enter the path in a “dead zone”, in between two light poles. In this area their motion was not detected and the people had to walk in the low-intensity, biologically friendly light for quite some time before it was fully lit up. The manufacturer did several attempts to minimize the dead zone but never managed to make it acceptable for the location. It is clear that collaboration with other partners makes things more difficult than if they would have been done by one part alone, but can also add more value to the project. The biologically friendly, motion activated path lighting did not turn out as planned. It is however the City of Malmö’s vision is that it should be ok to use the city as a testbed, even if some pilots turn out not to be a success. Hopefully the results from this pilot give valuable input to manufacturers on how to develop their products in the future. Sorgenfri, Malmö. Public space, no information provided at the location, limited possibilities for guided tours. The concept of using a holistic approach to improve the perception of safety in an area, can very well be implemented in other areas with challenges within social sustainability. Areas where the current lighting situation is outdated and in need of larger renovations are extra suitable. One of MKB’s new buildings in Sorgenfri, set for completion during the Summer of 2017.